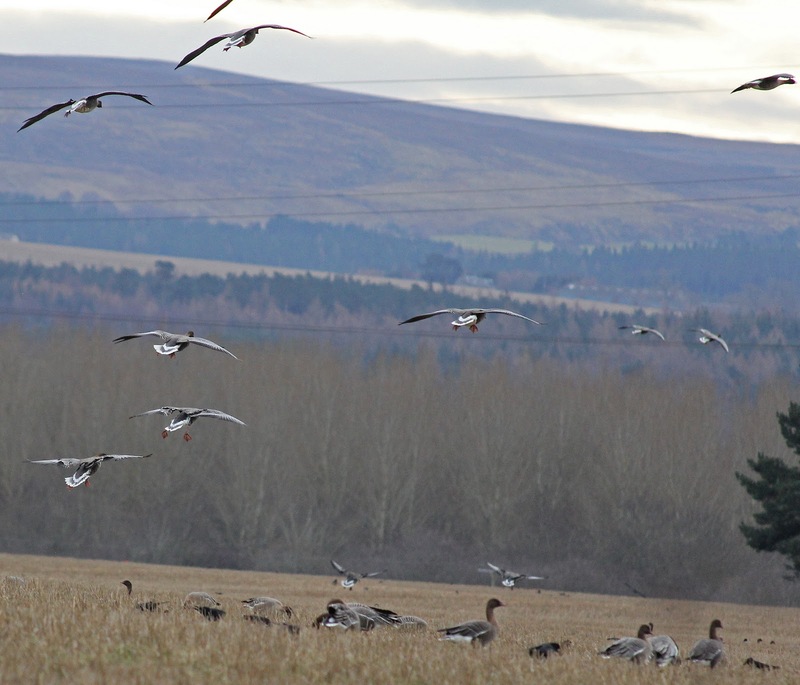 As the Pinkfoot come back to Nairn in their thousands, it was really interesting to spot the odd one out yesterday. 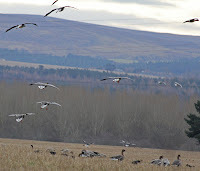 I was driving past a field just south of Broadley Farm when anything up to 3,000 geese were circling and landing in one of the fields on the west side Cawdor Road. I pulled over to take a closer look and try to get a few photos. 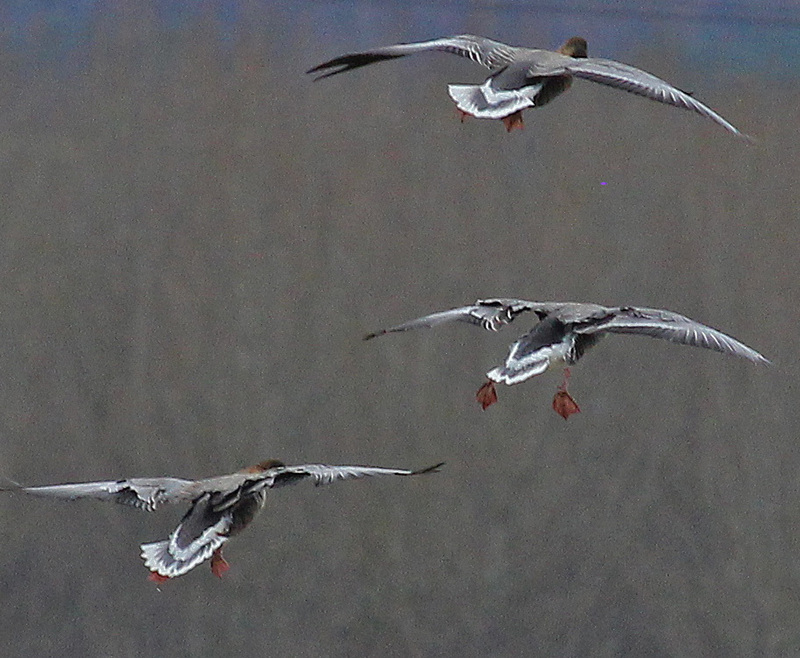 On closer inspection I was surprised to see a much paler goose among the throng of grey Pinkfoots. 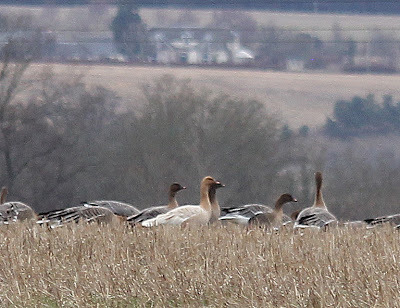 My instinct was that it was a Snow Goose (which can be seen among large flocks at this time of year), but I started to doubt this because of the other shades of grey and other 'Pinkfoot features'. When Kate saw the picture, she suggested it was an Albino Pinkfoot. 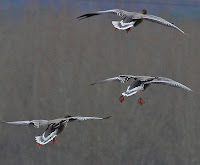 As you can see in the photo above, the bird looks like a standard Pinkfoot: same neck, head and bill shape; it's just whiter and paler. 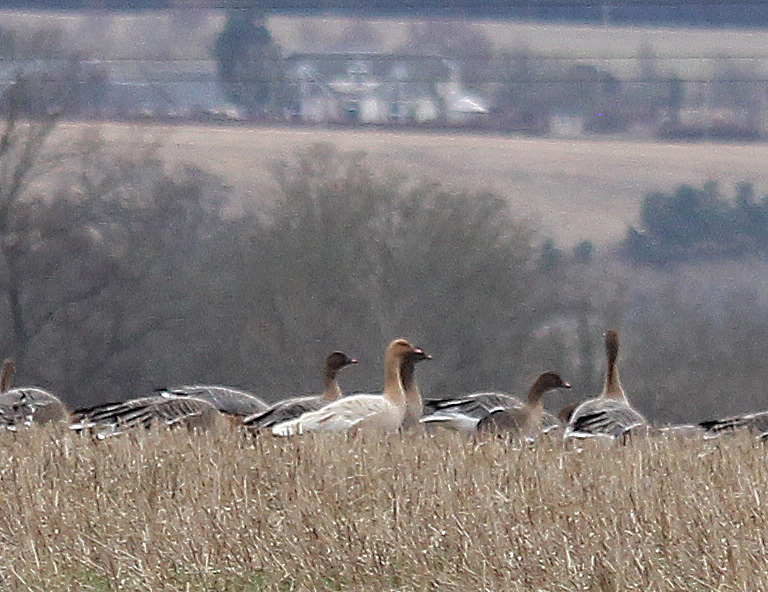 I sent the picture to a couple of very experienced and much more expert birders, and they both confirmed that this is a 'Leucistic' Pinkfoot! A number have been spotted locally over the years. Leucism is a condition caused by a genetic mutation that prevents pigment (mainly melanin) from being properly dispersed on a bird's feathers. It differs from the Albino genetic condition, which effects all pigments on feathers, skin and eyes of the birds, resulting in no colour at all (only white) for the affected birds. So there you go; you can learn something new everyday, especially when you know who to ask!